I have another Halloween look for you today 🙂 I think I might have found my niche, these Halloween looks (although very time-consuming) are super fun to do!! I may do two more before the week ends just to give you guys some more ideas, then it’s back to my regular post. But I gotta say it’s been a fun month posting these different looks every week. 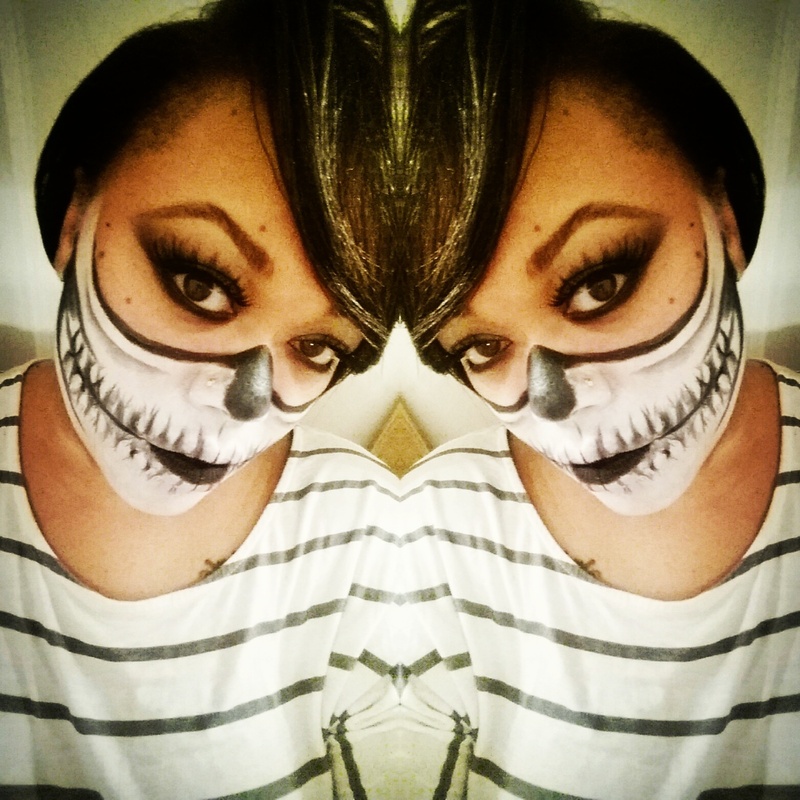 So over the weekend I did a skull mask look, inspired by Chrisspy the MUA, she’s def one of my fav’s on instagram. I will link her page below. 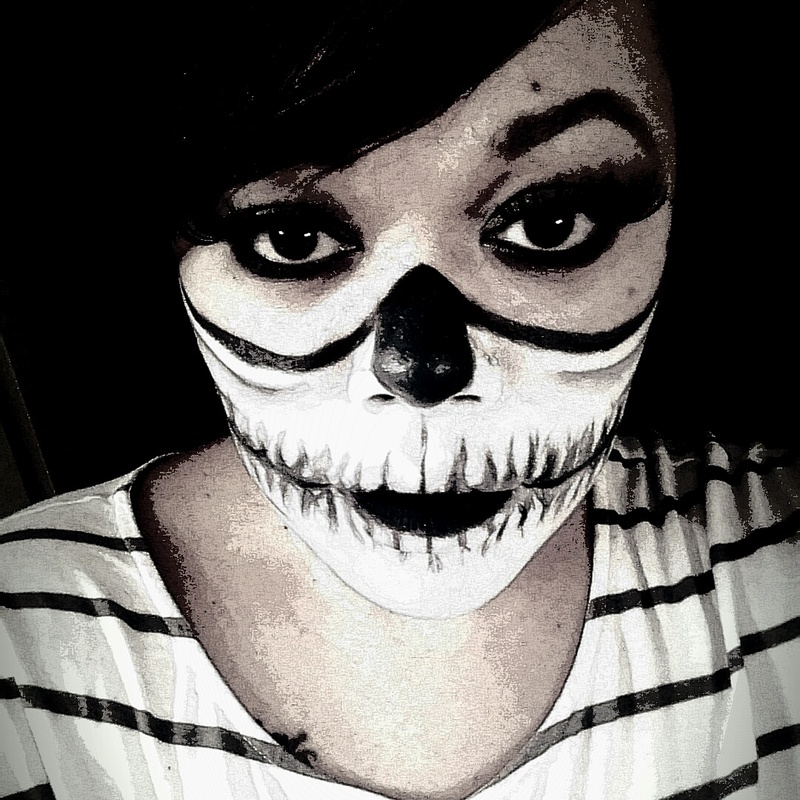 I didn’t go out and buy any face paint I just used what I had, since I wasn’t going anywhere with the look. But I would recommend getting face paint if you plan on trying this only because I’m sure it will be a thicker consistency than my eye pencil and less oily. First: I outlined my the lower half of my face with my NYX jumbo pencil in the color “milk” I used this in my last makeup look, this pencil really comes in handy. If you choose to use this pencil I would def recommend setting your fave with powder so the product does not move around. Second: I very lightly outlined under my, nose and where the teeth should go, just to get an idea of where to fill everything in. Once that was done I went over my nose, hollow of my cheeks with Sephora black gel liner and black eye shadow to set the liner. 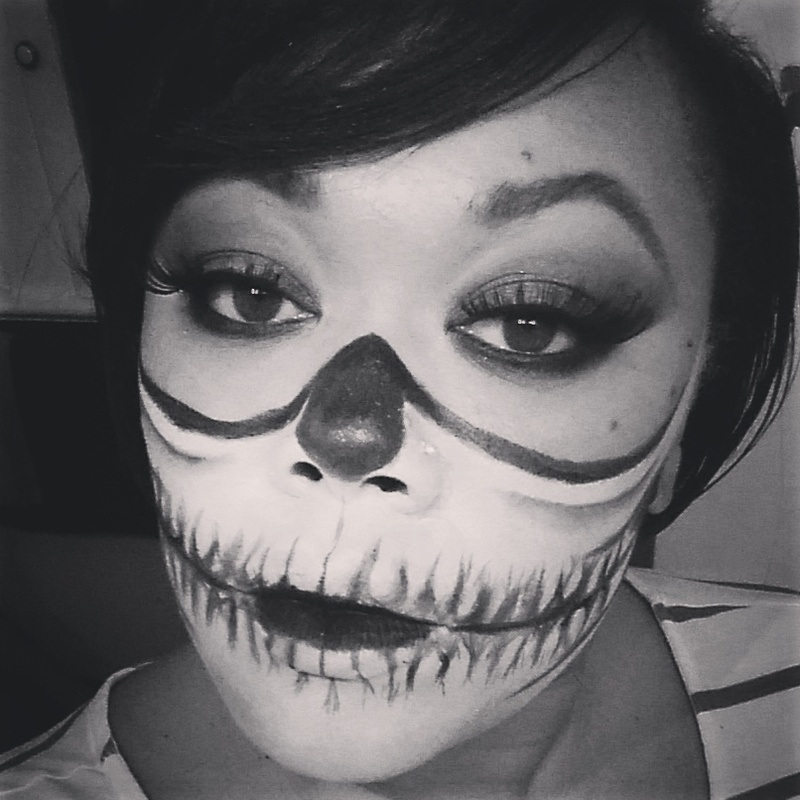 I also used the gel liner for the center of my mouth. Third: I added more detail to the teeth. Now this is all optional, because this part will def take the most amount of time. Once i drew the teeth in with the liner, I went back and added some shading around the edges of the teeth to give some definition. So cool!! You are talented girl!! Reblogged this on Beauty By Elyse.